Whether you are thinking of getting your child a go-kart, an ATV or a dirt bike, the first step is to provide kids with clear operating instructions. Before you set out to teach your child how to operate a pleasure vehicle, it is important that you know this vehicle inside and out. Read the owner’s manual. Take the vehicle for a test drive and make sure you know how it handles and what all the hand and foot controls are for. Talk to a dealer about the care and maintenance of the vehicle. Armed with knowledge and experience go over the owner’s manual with your son or daughter. Be certain your child understands the instructions and cautions. Then go over what each part of the machine does and how to care for the vehicle. Find a safe area to do some“hands-on” training. Give your child ample time to practice in a safe, level, uncongested space. If you do not feel competent to give your child driver’s instruction, find a qualified teacher. As your child’s guardian, attend all instruction and practice times. Do not rush the process. Driver’s instruction may take some time. Readiness varies with each child. 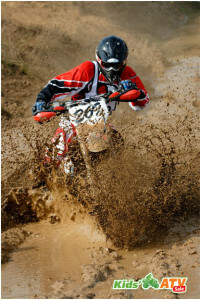 Before your child takes his machine to the track or trail, it is crucial that he be ready. Even after your child can handle his vehicle on the track or trail, he still needs adult supervision on every ride. Make sure a qualified, competent adult is always present at the track or off-road drive. 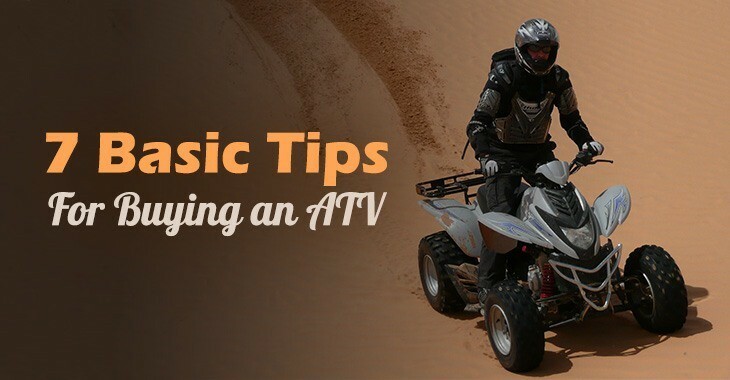 These general guidelines are posted in every recreational vehicle dealership and online ATV websites: No ATV is recommended for children under six. Consider a go-kart—especially a pedal go-kart as a good starter vehicle. For kids six and older, consider a vehicle with an engine under 70cc. 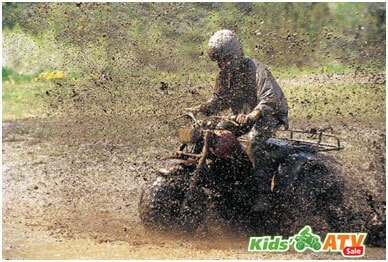 ATVs with an engine between 70 and 90cc are appropriate choices for kids twelve an older. Vehicles with an engine size over 90cc are recommended only for drivers over sixteen. Use common sense when choosing a vehicle. Age and size are factors. However, if your child has never driven a vehicle before you would not start him with a large engine even if he is over sixteen. Not all youngsters have the strength, skills, or judgment required to operate a vehicle safely. Conversely, lots of youngsters under sixteen may have already had experience driving a vehicle and can handle a larger engine. Do not let your child’s desires and your ego force you to make an inappropriate decision. The results could be disastrous. Conclusion: With the right training and practice and the most appropriate vehicle for your child’s size, skills, and experience a vehicle such as a go-kart, an ATV, or a dirt bike can be a great recreational sport for your child. In all things, safety, knowledge, training, experience and proper safety gear are crucial.